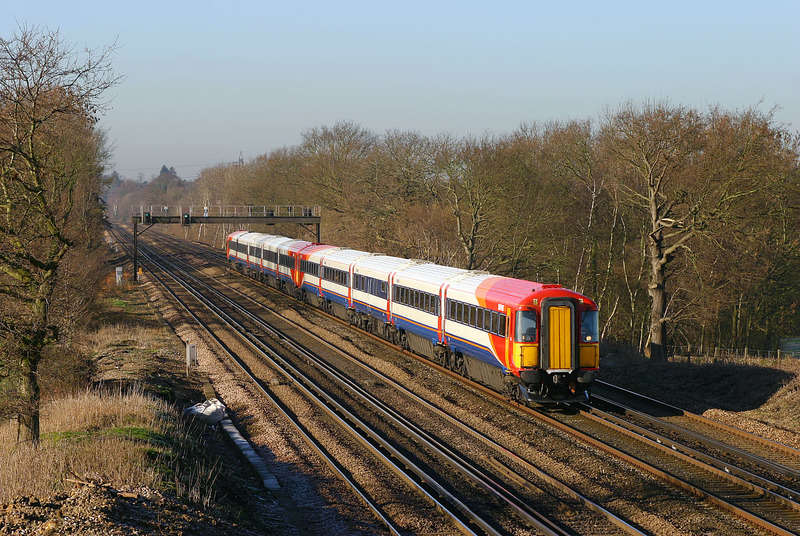 Saturday 3 February 2007 was the final day in traffic for the Class 442 units with South West Trains, and as it turned out to be a perfect sunny day, a trip was made to the Basingstoke to Woking line to photograph the last workings. 2410 & 2412 are seen here approaching Potbridge with the 09:01 Poole to Waterloo service. Upon arrival at Waterloo the units were split, and 2412 worked a staff only tour to Windsor, Twickenham & Shepperton, leaving 2410 to work the 12:05 Waterloo to Poole.